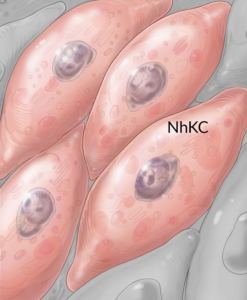 Normal Human Kidney Podocytes (NhKP) are terminally differentiated cells found lining the outer surface of the glomerular capillaries. 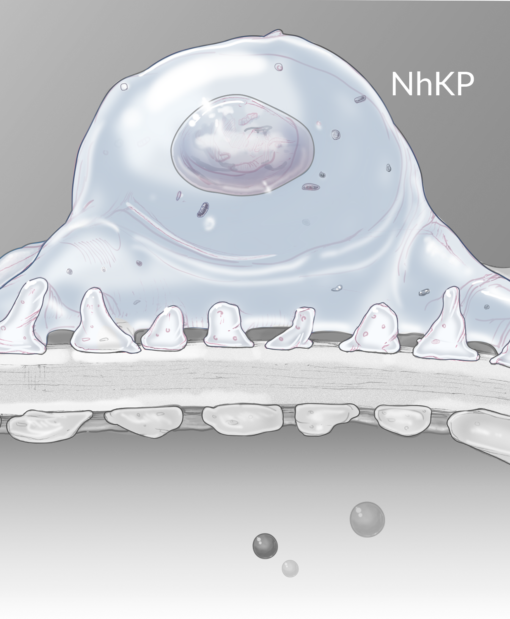 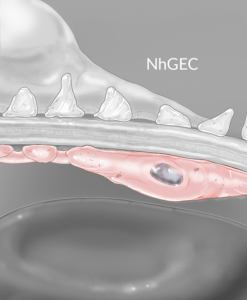 The NhKP are obtained after cortex digestion, and single glomerular isolation. 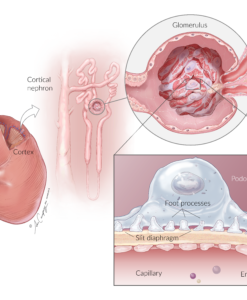 Glomeruli are further digested and then NhKP are isolated by nephrin and podocin positive selection as a pure population, then cryopreserved. 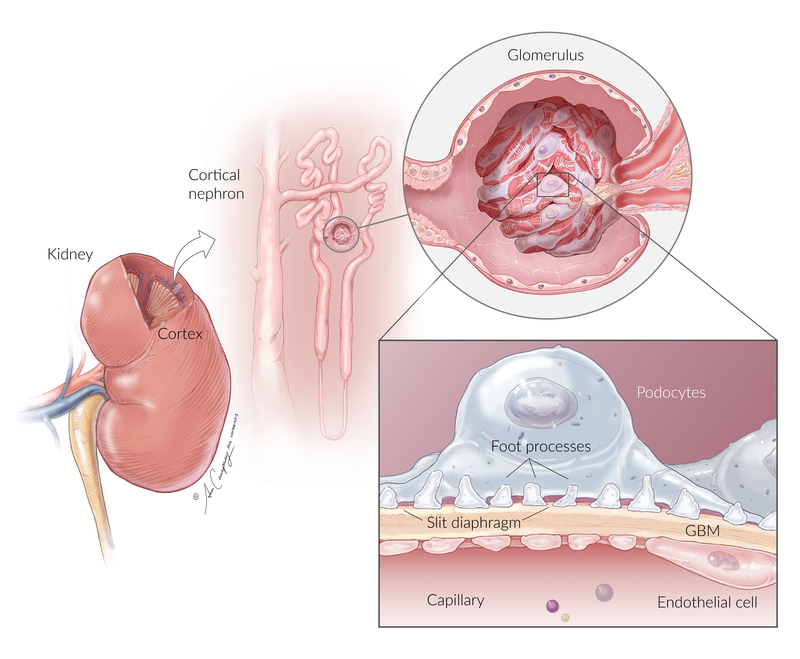 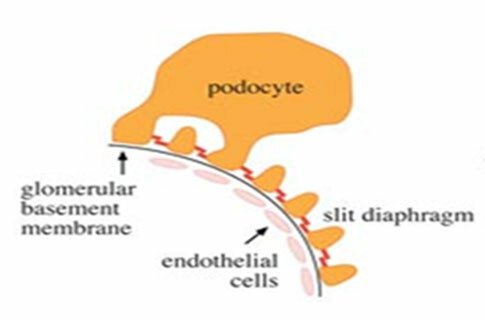 The podocytes have foot processes, that form the slit diaphragm to allow ultrafiltration of the blood based on size and charge and allows the filtration of…, electrolytes, and small and midsized solutes while restricting the passage of anionic molecules and macromolecules. 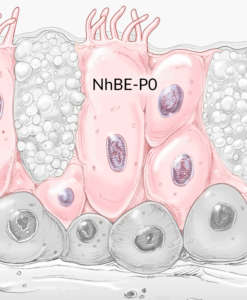 Expression of slit diaphragm molecules nephrin and podocin will be tested by immunostaining and qPCR. 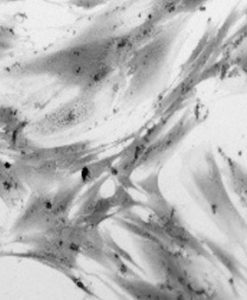 Absence of CD-31 and PDGFβ-R (endothelia and mesangial markers, respectively) will be assessed by immunofluorescence and qPCR. Podocytes cannot be cultured for more than 1 or 2 passage without loss of their particular traits (like foot processes and expression of slit diaphragm proteins). 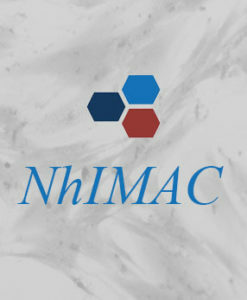 The NhKP cells are for research use only and not approved for human or animal use, nor for in vitro diagnostic testing. Cryopreserved proliferating NhKP cells are assured to be viable and functional when thawed and maintained properly.